Welcome to This Is Gonna Hurt, the podcast of J. Gordon Duncan. At This is Gonna Hurt, we address the tough questions around our faith, fitness, financial, and family health. It hurts to make real change, but persevering through the pain is worth it to reach goals and be healthy. We are here to help. Who am I, and why should you listen to me? I certainly don't know everything, but I am a husband, father, pastor, endurance athlete, epilepsy fighter, writer, and business consultant. Along the way, I'll share my mistakes and my wins. You can find out more about at me www.jgordonduncan.com. Free Friday - Why is Called Good Friday and What is a Tenebrae? This is a “Wednesday Wisdom” episode of “This is Gonna Hurt”. In our Wednesday Wisdom episodes, we post sermons from Gordon’s preaching at Evident Grace Fellowship (www.evidentgrace.com) in Fredericksburg, VA. In this episode, we celebrate Palm Sunday and look at John 12 with the Big Idea: Wishing to See Jesus. If you want to know more about Evident Grace Fellowship, you can find them at www.evidentgrace.com. If you want to find out more about what Gordon is up to, check out his website at www.jgordonduncan.com. Thanks for listening. Big Idea: Wishing to See Jesus Confusion is Okay Opposition is Expected Resurrection is Promised Confusion is Okay John 12:16 His disciples did not understand these things at first, but when Jesus was glorified, then they remembered that these things had been written about him and had been done to him. 17 The crowd that had been with him when he called Lazarus out of the tomb and raised him from the dead continued to bear witness. 18 The reason why the crowd went to meet him was that they heard he had done this sign. As the crowds met Jesus with songs and palms, the disciples were curious. They didn’t completely understand what was going on. However, after Jesus rose from the dead, ascended into heaven, and received His glory, the disciples understood what was going on. The crowd knew that Lazarus rose from the dead, but they didn’t fully understand what was going on. This is an important principle. When we come to Jesus, we don’t have to fully understand all that Jesus has done. But as we seek to understand Jesus and His glory, we grow in worship and are assured in our faith. Opposition is Expected 19 So the Pharisees said to one another, “You see that you are gaining nothing. Look, the world has gone after him.” The Pharisees are angered because everyone is following Jesus. Now that Lazarus has risen from the dead and that the crowd is worshiping Jesus, they are at their end. This is important: we have to understand that as the fame of Jesus rises, the world is going to oppose us. As we more fully see Jesus, and as we help others more fully Jesus, we are going to face opposition. Resurrection is Promised 20 Now among those who went up to worship at the feast were some Greeks. 21 So these came to Philip, who was from Bethsaida in Galilee, and asked him, “Sir, we wish to see Jesus.” 22 Philip went and told Andrew; Andrew and Philip went and told Jesus. 23 And Jesus answered them, “The hour has come for the Son of Man to be glorified. 24 Truly, truly, I say to you, unless a grain of wheat falls into the earth and dies, it remains alone; but if it dies, it bears much fruit. 25 Whoever loves his life loses it, and whoever hates his life in this world will keep it for eternal life. 26 If anyone serves me, he must follow me; and where I am, there will my servant be also. If anyone serves me, the Father will honor him. Check out the latest episode of the “This is Gonna Hurt” podcast. In this episode, Gordon preaches from Romans 3.21-31 and pursues the Big Picture Question: Why am I happy? I didn’t do anything? You can find the notes below. Thanks for listening. Big Picture Question: Why am I happy? I didn’t do anything. aka Why do I feel better? I didn’t do anything Good Grief I’m a Hot Mess Humble Brag Good Grief Romans 3: 21 But now the righteousness of God has been manifested apart from the law, although the Law and the Prophets bear witness to it— 22 the righteousness of God through faith in Jesus Christ for all who believe. We have a problem. We can’t obey. The law of God showed us our need and the character of God. We are in problem. But then, a goodness apart from our obeying appeared: the goodness of Jesus. When we have faith in the goodness of Jesus, we are forgiven and saved. I’m a Hot Mess For there is no distinction: 23 for all have sinned and fall short of the glory of God, 24 and are justified by his grace as a gift, through the redemption that is in Christ Jesus, 25 whom God put forward as a propitiation by his blood, to be received by faith. This was to show God's righteousness, because in his divine forbearance he had passed over former sins. 26 It was to show his righteousness at the present time, so that he might be just and the justifier of the one who has faith in Jesus. Everyone, and I mean, everyone has sinned and fallen short of His glory and what we are all called to. But God gives us a gift. That gift is that our relationship with Him is repaired by the work of Jesus. And the death of Jesus satisfied all the wrath of God for our sin. Through that, God is both just and justifier. Humble Brag 27 Then what becomes of our boasting? It is excluded. By what kind of law? By a law of works? No, but by the law of faith. 28 For we hold that one is justified by faith apart from works of the law. 29 Or is God the God of Jews only? Is he not the God of Gentiles also? Yes, of Gentiles also, 30 since God is one—who will justify the circumcised by faith and the uncircumcised through faith. 31 Do we then overthrow the law by this faith? By no means! On the contrary, we uphold the law. We don’t have anything to boast about. The only thing we can boast about is Jesus. No one gets to boast about their race or any thing they’ve done. That doesn’t mean that obedience is unimportant. We still obey, but we obey to say thanks to God. Big Picture Question: Why am I happy? I didn’t do anything. Why do I feel better? I didn’t do anything Good Grief I’m a Hot Mess Humble Brag Truth: The one true hope of the imperfect world is that we can boast in the fact that God has given us the goodness we need – the goodness of Jesus. Application: Live boasting that you have every single thing you need because Jesus has given you the payment for you guilt, the goodness that you need, and the hope of eternal joy. Action: Boast in Jesus! Welcome to another episode of the This is Gonna Hurt Podcast with J. Gordon Duncan. In this free Friday episode we talk about how podcasting is the new Google and why you need to start your own podcast. Thanks for listening. This is a “Wednesday Wisdom” episode of “This is Gonna Hurt”. In our Wednesday Wisdom episodes, we post sermons from Gordon’s preaching at Evident Grace Fellowship (www.evidentgrace.com) in Fredericksburg, VA. In this episode, we look at Romans 3.9-20 and pursue this Big Idea: When Bad News is Good News If you want to know more about Evident Grace Fellowship, you can find them at www.evidentgrace.com. If you want to find out more about what Gordon is up to, check out his website at www.jgordonduncan.com. Thanks for listening. Big Idea: When Bad News is Good News Aka Bad News for Bad People We are all in the same boat. That boat is sinking. Actually, Our Boat Sank We Are All in the Same Boat Romans 3:9 What then? Are we Jews any better off? No, not at all. For we have already charged that all, both Jews and Greeks, are under sin, That Boat is Sinking 10 as it is written: “None is righteous, no, not one; 11 no one understands; no one seeks for God. 12 All have turned aside; together they have become worthless; no one does good, not even one.” 13 “Their throat is an open grave; they use their tongues to deceive.” “The venom of asps is under their lips.” 14 “Their mouth is full of curses and bitterness.” 15 “Their feet are swift to shed blood; 16 in their paths are ruin and misery, Actually, Our Boat Sank 17 and the way of peace they have not known.”18 “There is no fear of God before their eyes.” 19 Now we know that whatever the law says it speaks to those who are under the law, so that every mouth may be stopped, and the whole world may be held accountable to God. 20 For by works of the law no human being will be justified in his sight, since through the law comes knowledge of sin. Big Idea: When Bad News is Good News Aka Bad News for Bad People Truth: The human heart cannot offer God anything other than what He has provided for us: faith in Jesus Christ and an obedience that He prepared for us long ago. Application: Live knowing that your needs are equal to the world’s need. Live knowing that your needs have been provided for because of your faith in Jesus Christ. Action: Offer condolences to one another, not condoning. This is a “Wednesday Wisdom” episode of “This is Gonna Hurt”. In our Wednesday Wisdom episodes, we post sermons from Gordon’s preaching at Evident Grace Fellowship (www.evidentgrace.com) in Fredericksburg, VA. In this episode, we take a break from our Roman series and look at one of the most famous passages in all the Bible: David and Goliath. Gordon pursues the Big Idea: God’s Champion and Your Part in the Fight from 1 Samuel 17.1-27. If you want to know more about Evident Grace Fellowship, you can find them at www.evidentgrace.com. If you want to find out more about what Gordon is up to, check out his website at www.jgordonduncan.com. Thanks for listening. Big Idea: God’s Champion and Your Part in the Fight. There is a War Between the World and God’s People The World Demands a Response The People of God are Called to Defend His honor Truth: Christ ends the world’s hostility with God through the cross & the ongoing proclamation of the Gospel by His people. Application: Live knowing that Christ ended the enmity between the world, Satan, your sin, and God. Action: Boldly proclaim Christ by name, not for victory, but out of victory this week. This is a “Wednesday Wisdom” episode of “This is Gonna Hurt”. In our Wednesday Wisdom episodes, we post sermons from Gordon’s preaching at Evident Grace Fellowship (www.evidentgrace.com) in Fredericksburg, VA. In this episode, Gordon pursues the Big Picture Question: What’s the Point from Romans 3.1-8. If you want to know more about Evident Grace Fellowship, you can find them at www.evidentgrace.com. If you want to find out more about what Gordon is up to, check out his website at www.jgordonduncan.com. Thanks for listening. Big Picture Question: What’s the point? God is Faithful God is Truthful We Can be Deceived Background: 2:28 A person is not a Jew who is one only outwardly, nor is circumcision merely outward and physical. 29 No, a person is a Jew who is one inwardly; and circumcision is circumcision of the heart, by the Spirit, not by the written code. Such a person’s praise is not from other people, but from God. God is Faithful Romans 3:1 Then what advantage has the Jew? Or what is the value of circumcision? 2 Much in every way. To begin with, the Jews were entrusted with the oracles of God. 3 What if some were unfaithful? Does their faithlessness nullify the faithfulness of God? 4 By no means! God is Truthful 4:b Let God be true though every one were a liar, as it is written, “That you may be justified in your words, and prevail when you are judged.” We Can be Deceived 5 But if our unrighteousness serves to show the righteousness of God, what shall we say? That God is unrighteous to inflict wrath on us? (I speak in a human way.) 6 By no means! For then how could God judge the world? 7 But if through my lie God's truth abounds to his glory, why am I still being condemned as a sinner? 8 And why not do evil that good may come?—as some people slanderously charge us with saying. Their condemnation is just Big Picture Question: What’s the point? Truth: We continue trying to understand and trying to obey God because His faithfulness and His truthfulness protect us from being deceived. Application: Live knowing that God intimately works in your questions, your doubts, and your obedience. Action: Find a believer who has some maturity about them. Share with them your struggles with study, belief, and/or worship. Ask them for encouragement or advice. This is a “Wednesday Wisdom” episode of “This is Gonna Hurt”. In our Wednesday Wisdom episodes, we post sermons from Gordon’s preaching at Evident Grace Fellowship (www.evidentgrace.com) in Fredericksburg, VA. In this episode, Gordon pursues the Big Picture Question: What are you counting on? from Romans 2.25ff. If you want to know more about Evident Grace Fellowship, you can find them at www.evidentgrace.com. If you want to find out more about what Gordon is up to, check out his website at www.jgordonduncan.com. Thanks for listening. What Should You Count On? Nothing Religious Nothing Outward God’s Praise Nothing Religious Romans 2:25 Circumcision has value if you observe the law, but if you break the law, you have become as though you had not been circumcised. 26 So then, if those who are not circumcised keep the law’s requirements, will they not be regarded as though they were circumcised? 27 The one who is not circumcised physically and yet obeys the law will condemn you who, even though you have the written code and circumcision, are a lawbreaker. Nothing Outward 28 A person is not a Jew who is one only outwardly, nor is circumcision merely outward and physical. God’s Praise 29 No, a person is a Jew who is one inwardly; and circumcision is circumcision of the heart, by the Spirit, not by the written code. Such a person’s praise is not from other people, but from God. What Should You Count On? Truth: Needy humanity cannot count on anything religious or outward. Our only hope is if we possess the goodness of Jesus. Application: Live knowing that worship and obedience are important, but they will not rescue or save. Live knowing that all you ever need has been provided by the life, death, and resurrection of Jesus. Action: Celebrate the good that God is doing in your life. Rejoice in suffering. Trust only the grace of Jesus Christ. Share this message with the world. This is a “Wednesday Wisdom” episode of “This is Gonna Hurt”. In our Wednesday Wisdom episodes, we post sermons from Gordon’s preaching at Evident Grace Fellowship (www.evidentgrace.com) in Fredericksburg, VA. In this episode, Gordon pursues the Big Idea: The Standard is the Standard from Romans 2.12-24. You can find notes from this sermon below. Thanks for listening. If you want to know more about Evident Grace Fellowship, you can find them at www.evidentgrace.com. If you want to find out more about what Gordon is up to, check out his website at www.jgordonduncan.com. Thanks for listening. Big Idea: The Standard is the Standard Our Need is Universal Romans 2:12 All who sin apart from the law will also perish apart from the law, and all who sin under the law will be judged by the law. 13 For it is not those who hear the law who are righteous in God’s sight, but it is those who obey the law who will be declared righteous. 14 (Indeed, when Gentiles, who do not have the law, do by nature things required by the law, they are a law for themselves, even though they do not have the law. 15 They show that the requirements of the law are written on their hearts, their consciences also bearing witness, and their thoughts sometimes accusing them and at other times even defending them.) Jesus’ Words Save and Condemn 16 This will take place on the day when God judges people’s secrets through Jesus Christ, as my gospel declares. There is No Boasting 17 Now you, if you call yourself a Jew; if you rely on the law and boast in God; 18 if you know his will and approve of what is superior because you are instructed by the law; 19 if you are convinced that you are a guide for the blind, a light for those who are in the dark, 20 an instructor of the foolish, a teacher of little children, because you have in the law the embodiment of knowledge and truth— 21 you, then, who teach others, do you not teach yourself? You who preach against stealing, do you steal? 22 You who say that people should not commit adultery, do you commit adultery? You who abhor idols, do you rob temples? 23 You who boast in the law, do you dishonor God by breaking the law? 24 As it is written: “God’s name is blasphemed among the Gentiles because of you.” Big Idea: The Standard is the Standard Truth: Christians stand as humble demonstrations of how God’s grace meets the universal need for forgiveness. God’s call to faith and repentance is the call of life itself. Application: In light of the command not to boast, live knowing that God enables the change in your life just much as He enabled the forgiveness of your sins. Action: Pray for personal a repentance and holiness that grows into a fervent proclamation of the Gospel. The One Year Celebration of Podcasting With a Surprise Guest! Check out the latest episode of the “This is Gonna Hurt” podcast! In this episode, Gordon celebrates the One Year anniversary of the podcast. We talk about the top 5 podcasts of the past year: Number 5: Episode 29 – How to make real change in your life Number 4: Free Friday – How well do you wait for God? Number 3: Free Friday – Can you love Jesus when He purposefully causes you pain? Number 2: Episode 30 – Middle School Confessions Number 1: Episode 32 – The personal growth movement and the church We also have a guest interview that you don’t want to miss! Thanks for listening, everyone! If you like this episode, please like it, share it, and review it. Thanks so much for listening. If you would like to become a podcast patron, you can do so by clicking anchor.fm/thisisgonnahurt and clicking the “support this podcast” button. If you want to know more about what Gordon is up to, check out www.jgordonduncan.com. Check out the latest episode of the “This is Gonna Hurt” podcast. In this Free Friday episode, Gordon ponders why 97% of books are never finished. One author argues that most authors never finish their books due to four major factors. Gordon also discusses… That Procrastination is laziness mixed with fear and doubt Challenges you to overcome procrastination And lots of other greatness squeezed into five minutes. Thanks so much for listening. If you would like to become a podcast patron, you can do so by clicking anchor.fm/thisisgonnahurtand clicking the “support this podcast” button. If you want to know more about what I’m up to, check out www.jgordonduncan.com. This is a “Wednesday Wisdom” episode of “This is Gonna Hurt”. In our Wednesday Wisdom episodes, we post sermons from Gordon’s preaching at Evident Grace Fellowship (www.evidentgrace.com) in Fredericksburg, VA. In this episode, Gordon pursues the Big Idea: God’s Wake Up Call to the Church from Romans 2.5-11. If you want to know more about Evident Grace Fellowship, you can find them at www.evidentgrace.com. If you want to find out more about what Gordon is up to, check out his website at www.jgordonduncan.com. Thanks for listening. Big Idea: God’s Call to Awaken His Church Judgment is Coming God Will Repay God Doesn’t Show Favorites Judgment is Coming Romans 2.5 But because of your stubbornness and your unrepentant heart, you are storing up wrath against yourself for the day of God’s wrath, when his righteous judgment will be revealed. God Will Repay 6 God “will repay each person according to what they have done.” 7 To those who by persistence in doing good seek glory, honor and immortality, he will give eternal life. 8 But for those who are self-seeking and who reject the truth and follow evil, there will be wrath and anger. God Doesn’t Show Favorites 9 There will be trouble and distress for every human being who does evil: first for the Jew, then for the Gentile; 10 but glory, honor and peace for everyone who does good: first for the Jew, then for the Gentile. 11 For God does not show favoritism. Big Idea: God’s Call to Awaken His Church Truth: God’s church must be vigilantly about the proclamation of holiness and repentance because unbiased judgment is coming to pay each for their actions. Application: Live knowing that God’s wrath is and will be poured out for every sin – either on Christ or upon those who don’t profess faith in Christ. Action: Persist in doing good, seek God’s glory, and proclaim faith and repentance to those you love. In this Free Friday episode, Gordon discusses three tips he learned after several weeks of traveling. In this episode, we discuss: reading instead of looking at your phone, talking to strangers, and getting through security. Thanks for listening. You can find out more about what Gordon is up to at www.jgordonduncan.com. This is a “Wednesday Wisdom” episode of “This is Gonna Hurt”. In our Wednesday Wisdom episodes, we post sermons from Gordon’s preaching at Evident Grace Fellowship (www.evidentgrace.com) in Fredericksburg, VA. In this episode, Gordon answers the question: How do we talk to non-Christians? from Romans 2.1-4. If you want to know more about Evident Grace Fellowship, you can find them at www.evidentgrace.com. If you want to find out more about what Gordon is up to, check out his website at www.jgordonduncan.com. Thanks for listening. Big Idea: How to Talk to a non-Christian Don’t Pass Judgment Romans 2:1 You, therefore, have no excuse, you who pass judgment on someone else, for at whatever point you judge another, you are condemning yourself, because you who pass judgment do the same things. Know that God Judges 2 Now we know that God’s judgment against those who do such things is based on truth. 3 So when you, a mere human being, pass judgment on them and yet do the same things, do you think you will escape God’s judgment? Trust God’s Kindness 4 Or do you show contempt for the riches of his kindness, forbearance and patience, not realizing that God’s kindness is intended to lead you to repentance? Big Idea: How to Talk to a non-Christian Truth: Speaking the truth in love, Christians are to call the world to the same repentance that they have experienced through God’s kindness. Application: Live knowing that the kind and continual work of repentance in your life is intended to be transformative for you, the church, and those who do not profess faith in Christ. Action: Be kind to those who don’t know Christ with the expressed purpose of sharing how God’s kindness led you to repentance. 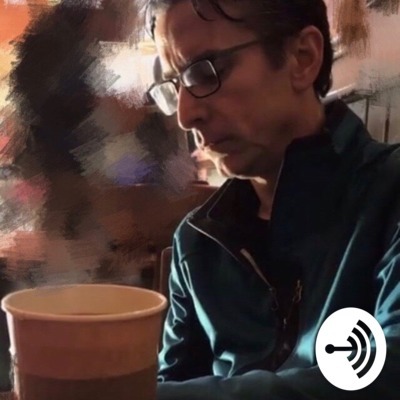 Episode 50 - Interview with Dr. Donald Guthrie, author of "Resilient Ministry"
Check out the latest episode of the “This is Gonna Hurt” podcast. In this Free Friday episode, Gordon discusses the debacle that was the Fyre Festival and the two subsequent documentaries on Netflix and Hulu. If you aren’t familiar with the Fyre Festival, it was an over hyped and under-delivered festival in the Bahamas that was so bad, people went to jail and people’s lives were at stake. In this episode, we discuss: How to over promise and over deliver. How to be honest when you fail. How to assess when things go wrong. We also discuss two documentaries: Netflix’s Fyre: The Greatest Party that Never Happened and Hulu’s Fyre Fraud. Thanks so much for listening. If you would like to become a podcast patron, you can do so by clicking anchor.fm/thisisgonnahurt and clicking the “support this podcast” button. If you want to know more about what I’m up to, check out www.jgordonduncan.com. This is a “Wednesday Wisdom” episode of “This is Gonna Hurt”. In our Wednesday Wisdom episodes, we post sermons from Gordon’s preaching at Evident Grace Fellowship (www.evidentgrace.com) in Fredericksburg, VA. In this episode, Gordon answers the question: What Happens When We Don’t Acknowledge God? from Romans 1.28-32. If you want to know more about Evident Grace Fellowship, you can find them at www.evidentgrace.com. If you want to find out more about what Gordon is up to, check out his website at www.jgordonduncan.com. Thanks for listening. Big Idea: Acknowledge is Power aka What Happens When We Don’t Acknowledge God? God Gives Us Up We are Filled We Give Approval God Gives Us Up 28 And since they did not see fit to acknowledge God, God gave them up to a debased mind to do what ought not to be done. We are Filled 29 They were filled with all manner of unrighteousness, evil, covetousness, malice. They are full of envy, murder, strife, deceit, maliciousness. They are gossips, 30 slanderers, haters of God, insolent, haughty, boastful, inventors of evil, disobedient to parents, 31 foolish, faithless, heartless, ruthless. We Give Approval 32 Though they know God's decree that those who practice such things deserve to die, they not only do them but give approval to those who practice them. Big Idea: Acknowledge is Power aka What Happens When We Don’t Acknowledge God? Truth: Acknowledging God in every area and circumstance of your life enables you to most enjoy a Spirit-filled, God-approved life. Application: Live knowing that God intends to bless you through your personal and public acknowledgment of Him. Check out the latest episode of the “This is Gonna Hurt” podcast. In this Free Friday episode, Gordon celebrates Black History Month by highlighting his favorite author, Richard Wright. Richard Wright was the first African-American author to have a number one bestseller. Gordon talks about: Wright’s famous novel, “Native Son” Wright’s autobiography, “Black Boy” And why Gordon thinks Richard Wright doesn’t give as much attention as he deserves. Thanks so much for listening. If you would like to become a podcast patron, you can do so by clicking anchor.fm/thisisgonnahurt and clicking the “support this podcast” button. If you want to know more about what I’m up to, check out www.jgordonduncan.com. This is a “Wednesday Wisdom” episode of “This is Gonna Hurt”. In our Wednesday Wisdom episodes, we post sermons from Gordon’s preaching at Evident Grace Fellowship (www.evidentgrace.com) in Fredericksburg, VA. In this episode, Gordon answers the question: What Happens When God Gives Up? from Romans 1.24-32. If you want to know more about Evident Grace Fellowship, you can find them at www.evidentgrace.com. If you want to find out more about what Gordon is up to, check out his website at www.jgordonduncan.com. Thanks for listening. The Wrath of God and Shame Part Two Big Picture Question: What happens when God’s gives up? Dishonoring God Leads to the Dishonoring of Self Romans 1:24 Therefore God gave them up in the lusts of their hearts to impurity, to the dishonoring of their bodies among themselves, 25 because they exchanged the truth about God for a lie and worshiped and served the creature rather than the Creator, who is blessed forever! Amen! The Unnatural Leads to a Due Penalty 26 For this reason God gave them up to dishonorable passions. For their women exchanged natural relations for those that are contrary to nature; 27 and the men likewise gave up natural relations with women and were consumed with passion for one another, men committing shameless acts with men and receiving in themselves the due penalty for their error. Questions Answered: How Then Should We Understand Sexuality? Isn’t Love Just Love? How does the Bible describe love? When we say, “Well I love this person. I’m not hurting anybody, so why do you care?” But some say, “I was born with these affections. How can God call them wrong or condemn me? The Bible also says eating shellfish is wrong, so isn’t saying homosexuality is wrong out of date or out of place? Why does the church get so enraged with homosexuality? What then do we do? This is a “Wednesday Wisdom” episode of “This is Gonna Hurt”. In our Wednesday Wisdom episodes, we post sermons from Gordon’s preaching at Evident Grace Fellowship (www.evidentgrace.com) in Fredericksburg, VA. In this episode, Gordon answers the question: Why Does God Show His Wrath? from Romans 1.18-23. If you want to know more about Evident Grace Fellowship, you can find them at www.evidentgrace.com. If you want to find out more about what Gordon is up to, check out his website at www.jgordonduncan.com. Thanks for listening. Big Picture Question: Why Does God Show His Wrath? Ungodliness Romans 1:18 For the wrath of God is revealed from heaven against all ungodliness and unrighteousness of men, who by their unrighteousness suppress the truth. God has wrath against sin, and the way it is revealed to us its display against ungodliness and unrighteousness. And Paul teaches us that one of the things that unrighteousness does is suppress the truth. Sin is not just a single action, thought, or word. It is suppressing the truth of who God is and what He has commanded. Dishonoring God aka Lack of Thanks 19 For what can be known about God is plain to them, because God has shown it to them. 20 For his invisible attributes, namely, his eternal power and divine nature, have been clearly perceived, ever since the creation of the world, in the things that have been made. So they are without excuse. 21 For although they knew God, they did not honor him as God or give thanks to him, These verses should hit us hard. God makes Himself plainly known. Creation itself reveals that there is a creator. Just by viewing creation, all humanity sees that there is someone greater than ourselves. We can create, but only out of created things. Our hearts know this. But when we don’t honor God and gives thanks for Him and His creation, we sin, and that sin merits God’s wrath. Futile Thinking but they became futile in their thinking, and their foolish hearts were darkened. 22 Claiming to be wise, they became fools, 23 and exchanged the glory of the immortal God for images resembling mortal man and birds and animals and creeping things. As we continue in our lack of honor and thanks, we grow into futile thinking. This is wrong thinking compounded until our thinking is foolish. The end of that thinking is idolatry where we worship created things instead of the creator. The end result of ungodliness, the suppression of the truth, and futile thinking is the worship of the creation apart from the creator. Big Picture Question: Why Does God Show His Wrath? Ungodliness Dishonoring God aka Lack of Thanks Futile Thinking Truth: God’s wrath is poured out on all ungodliness because unrighteousness leads to dishonoring, ungrateful hearts that grow more and more futile in their thinking. Application: Live knowing that your one, true, and lasting hope is that Jesus lovingly suffered the wrath of God on your behalf, so you might be free and safe eternally. Action: Impact someone’s life this week by reminding them of their rescue from the wrath of God. Episode 47 - What Do Business Conferences Have to Teach the Church? Check out the latest episode of the “This is Gonna Hurt” podcast. This is a “Wednesday Wisdom” episode of “This is Gonna Hurt”. In our Wednesday Wisdom episodes, we post sermons from Gordon’s preaching at Evident Grace Fellowship (www.evidentgrace.com) in Fredericksburg, VA. In this episode, Gordon speaks about the hope and promise of Jesus calming our anxious hearts from John 13:13 – 14:7. If you want to know more about Evident Grace Fellowship, you can find them at www.evidentgrace.com. If you want to find out more about what Gordon is up to, check out his website at www.jgordonduncan.com. Thanks for listening. John 13: 36 Simon Peter said to him, “Lord, where are you going?” Jesus answered him, “Where I am going you cannot follow me now, but you will follow afterward.” 37 Peter said to him, “Lord, why can I not follow you now? I will lay down my life for you.” 38 Jesus answered, “Will you lay down your life for me? Truly, truly, I say to you, the rooster will not crow till you have denied me three times. 14:1 “Let not your hearts be troubled. Believe in God; believe also in me. 2 In my Father's house are many rooms. If it were not so, would I have told you that I go to prepare a place for you? 3 And if I go and prepare a place for you, I will come again and will take you to myself, that where I am you may be also. 4 And you know the way to where I am going.” 5 Thomas said to him, “Lord, we do not know where you are going. How can we know the way?” 6 Jesus said to him, “I am the way, and the truth, and the life. No one comes to the Father except through me. 7 If you had known me, you would have known my Father also. From now on you do know him and have seen him.” Truth: We can be calm because Jesus knows our hearts, provides us a place of rest, and rescues us. Application: Calming our hearts begins with reminding ourselves who we are and what we have in Jesus Christ. Action: Obediently, examine what we are allowing to stress us out. Check out the latest episode of the “This is Gonna Hurt” podcast. This is a “Wednesday Wisdom” episode of “This is Gonna Hurt”. In our Wednesday Wisdom episodes, we post sermons from Gordon’s preaching at Evident Grace Fellowship (www.evidentgrace.com) in Fredericksburg, VA. This breakout session from the book of Romans was created on a Sunday where Evident Grace couldn’t meet because of snow. It is a 25-minute message discussing the wrath of God. Paul in Romans 1 goes from loving the Gospel and saying he’s not ashamed of it to saying, “And the wrath of God is poured out…” For us to apply those verses well, I put together a message to help us understand the various views that people have about the wrath of God as well as looking at verses that will inform us about what God says. Of course, it will all end with helping us understand how Jesus meets the wrath of God on our behalf. It will answer questions like: What are the various views of the wrath of God? What is the Biblical view? What does Jesus say about the wrath of God? What does the NT say about denying the wrath of God? If you want to know more about Evident Grace Fellowship, you can find them at www.evidentgrace.com. If you want to find out more about what Gordon is up to, check out his website at www.jgordonduncan.com. Thanks for listening. Episode 45 - 10 Behaviors that Hinder Organizational Growth from Brene Brown's "Dare to Lead"
Check out the latest episode of the “This is Gonna Hurt” podcast. This is a “Wednesday Wisdom” episode of “This is Gonna Hurt”. In our Wednesday Wisdom episodes, we post sermons from Gordon’s preaching at Evident Grace Fellowship (www.evidentgrace.com) in Fredericksburg, VA. In this episode, Gordon begins a series on the book of Romans. If you want to know more about Evident Grace Fellowship, you can find them at www.evidentgrace.com. If you want to find out more about what Gordon is up to, check out his website at www.jgordonduncan.com. Thanks for listening. Sunday, January 6, 2019, Evident Grace Fellowship looked at Romans 1.1-17: Romans 1:1 Paul, a servant of Christ Jesus, called to be an apostle, set apart for the gospel of God, 2 which he promised beforehand through his prophets in the holy Scriptures, 3 concerning his Son, who was descended from David according to the flesh 4 and was declared to be the Son of God in power according to the Spirit of holiness by his resurrection from the dead, Jesus Christ our Lord, 5 through whom we have received grace and apostleship to bring about the obedience of faith for the sake of his name among all the nations, 6 including you who are called to belong to Jesus Christ, 7 To all those in Rome who are loved by God and called to be saints: Grace to you and peace from God our Father and the Lord Jesus Christ. 8 First, I thank my God through Jesus Christ for all of you, because your faith is proclaimed in all the world. 9 For God is my witness, whom I serve with my spirit in the gospel of his Son, that without ceasing I mention you 10 always in my prayers, asking that somehow by God's will I may now at last succeed in coming to you. 11 For I long to see you, that I may impart to you some spiritual gift to strengthen you— 12 that is, that we may be mutually encouraged by each other's faith, both yours and mine. 13 I do not want you to be unaware, brothers, that I have often intended to come to you (but thus far have been prevented), in order that I may reap some harvest among you as well as among the rest of the Gentiles. 14 I am under obligation both to Greeks and to barbarians, both to the wise and to the foolish. 15 So I am eager to preach the gospel to you also who are in Rome. 16 For I am not ashamed of the gospel, for it is the power of God for salvation to everyone who believes, to the Jew first and also to the Greek. 17 For in it the righteousness of God is revealed from faith for faith, as it is written, “The righteous shall live by faith.” From those verses, we looked at this Big Picture Question: Big Picture Question: What is the link between faith and the end of shame? And we found these three points from that question: Grace and Someone to Proclaim It Mutual Encouragement The Power of the Gospel Truth: The power of the gospel of grace conquers sin and shame as the church mutually encourages each other. Application: Live knowing that you are equipped with everything that is needed to conquer your shame. Action: Impart a spiritual gift of encouragement to someone new this week. Check out the latest episode of the “This is Gonna Hurt” podcast. In this Free Friday episode, Gordon talks about our country’s two phenomena: the Netflix original “Bird Box” and our present government shutdown. In the discussion, Gordon talks about their fascination is really about the same thing: the fear of the unknown. Thanks for listening. Gordon If you would like to become a podcast patron, you can do so by clickinganchor.fm/thisisgonnahurtand clicking the “support this podcast” button. Check out the latest episode of the “This is Gonna Hurt” podcast. In this Free Friday episode, Gordon shares with you about one of his heroes: Jason Becker. Jason is an American born guitar player who leapt on the neo-classical guitar scene at the age of 16. He played with the band, Cacophony, with co-virtuoso, Marty Friedman. Becker’s solo album, “Perpetual Burn”, stands the test of time as a statement of his ability and his genius. As Cacophony broke up, he joined the David Lee Roth band, replacing Steve Vai. Sadly, soon after, he was diagnosed with ALS and lost the ability to speak, walk, and play guitar. Since then, he has learned to speak and write music with technology that follows the movement of his eyes. This month, he released an album 20 years in the making entitled, “Triumphant Hearts”. You can find links this album and his Amazon catalogue below. Artist Page: https://www.amazon.com/Jason-Becker/e/B000AQ0IHY/ref=sr_ntt_srch_lnk_1?qid=1545603159&sr=8-1-spons New Album “Triumphant Hearts”: https://www.amazon.com/Triumphant-Hearts-Jason-Becker/dp/B07J56FHSZ/ref=ice_ac_b_dpb?ie=UTF8&qid=1545603159&sr=8-3&keywords=jason+becker This year, be an inspiration to someone and find someone to be inspired by. Jason Becker has been that for me for 30 years. Thanks for listening. Gordon If you would like to become a podcast patron, you can do so by clickinganchor.fm/thisisgonnahurtand clicking the “support this podcast” button. If you want to find out more about what Gordon is up to, check out his websiteatwww.jgordonduncan.com. Check out the latest episode of the “This is Gonna Hurt” podcast. This is a “Wednesday Wisdom” episode of “This is Gonna Hurt”. In our Wednesday Wisdom episodes, we post sermons from Gordon’s preaching at Evident Grace Fellowship (www.evidentgrace.com) in Fredericksburg, VA. In this episode, Gordon discusses how a Christian can plan for the New Year. Big Picture Question: How does a Christian plan for a new year? On Sunday, December 31, 2017, Evident Grace Fellowship looked at Psalm 90: Psalm 90:1 Lord, you have been our dwelling place in all generations. 2 Before the mountains were brought forth, or ever you had formed the earth and the world, from everlasting to everlasting you are God. 3 You return man to dust and say, “Return, O children of man!” 4 For a thousand years in your sight are but as yesterday when it is past, or as a watch in the night. 5 You sweep them away as with a flood; they are like a dream, like grass that is renewed in the morning: 6 in the morning it flourishes and is renewed; in the evening it fades and withers. 7 For we are brought to an end by your anger; by your wrath we are dismayed. 8 You have set our iniquities before you, our secret sins in the light of your presence. 9 For all our days pass away under your wrath; we bring our years to an end like a sigh. 10 The years of our life are seventy, or even by reason of strength eighty; yet their span is but toil and trouble; they are soon gone, and we fly away. 11 Who considers the power of your anger, and your wrath according to the fear of you? 12 So teach us to number our days that we may get a heart of wisdom. 13 Return, O Lord! How long? Have pity on your servants! 14 Satisfy us in the morning with your steadfast love, that we may rejoice and be glad all our days. 15 Make us glad for as many days as you have afflicted us, and for as many years as we have seen evil. 16 Let your work be shown to your servants, and your glorious power to their children. 17 Let the favor of the Lord our God be upon us, and establish the work of our hands upon us; yes, establish the work of our hands! And we found these 3 answers to our Big Picture Question: Purposefully Praise God Repent Over the Sins of the Past Year Make Plans and Offer Them to God If you want to know more about Evident Grace Fellowship, you can find them at www.evidentgrace.com. If you want to find out more about what Gordon is up to, check out his website at www.jgordonduncan.com. Welcome to the “This is Gonna Hurt Podcast”, the podcast of J. Gordon Duncan. In this episode, Gordon talks about his memories of Christmas Eve and Christmas Day. He talks about: Christmas Eve as a child. Christmas Eve as a family. Three Prayers he has for you, the listener. Thanks for listening. If you would like to support the “This is Gonna Hurt” podcast, just go to: www.anchor.fm/thisisgonnahurt and click the “support this podcast” button. Thanks for listening. If you want to find out more about what Gordon is up to, check out his website at www.jgordonduncan.com. In this Free Friday episode, Gordon talks about being the victim of vandalism. His poor car is taking the hits this year. Gordon talks about: His history with vandalism. How to pray. Teaching our kids. Thanks for listening. Gordon If you would like to become a podcast patron, you can do so byclickinganchor.fm/thisisgonnahurtand clicking the “support this podcast” button. If you want to find out more about what Gordon is up to, check out hiswebsiteatwww.jgordonduncan.com. Check out the latest episode of the “This is Gonna Hurt” podcast. This is a “Wednesday Wisdom” episode of “This is Gonna Hurt”. In our Wednesday Wisdom episodes, we post sermons from Gordon’s preaching at Evident Grace Fellowship (www.evidentgrace.com) in Fredericksburg, VA. In this episode, Gordon continues his “End of Shame” Christmas Series. Sunday, December 9, 2018 Evident Grace Fellowship looked at Luke 2:1-7 Luke 2:1 In those days a decree went out from Caesar Augustus that all the world should be registered. 2 This was the first registration when Quirinius was governor of Syria. 3 And all went to be registered, each to his own town. 4 And Joseph also went up from Galilee, from the town of Nazareth, to Judea, to the city of David, which is called Bethlehem, because he was of the house and lineage of David, 5 to be registered with Mary, his betrothed, who was with child. 6 And while they were there, the time came for her to give birth. 7 And she gave birth to her firstborn son and wrapped him in swaddling cloths and laid him in a manger, because there was no place for them in the inn. From those verses, we pursued this Big Idea: Big Idea: The End of Shame With that Big Idea, we looked at these three causes of shame: Unkept Promises Lack of Compassion Humiliation If you want to know more about Evident Grace Fellowship, you can find them at www.evidentgrace.com. If you want to find out more about what Gordon is up to, check out his websiteatwww.jgordonduncan.com. Welcome to the “This is Gonna Hurt Podcast”, the podcast of J. Gordon Duncan. In this episode, Gordon talks about his running in 2018 and makes it relevant even if you hate running. He talks about: What do you do when you miss a goal that you worked hard for. When relationships are more important than personal glory. How to handle things outside of your control. Thanks for listening. If you would like to support the “This is Gonna Hurt” podcast, just go to: www.anchor.fm/thisisgonnahurt and click the “support this podcast” button. Thanks for listening. If you want to find out more about what Gordon is up to, check out his website at www.jgordonduncan.com. In this Free Friday episode, Gordon walks you through the holiday craziness. In this slightly longer episode, Gordon talks about the best way to survive the holidays. With this one tip, you will enjoy your holidays more. Thanks for listening. Gordon If you would like to become a podcast patron, you can do so by clickinganchor.fm/thisisgonnahurtand clicking the “support this podcast” button. If you want to find out more about what Gordon is up to, check out his websiteatwww.jgordonduncan.com. Check out the latest episode of the “This is Gonna Hurt” podcast. This is a “Wednesday Wisdom” episode of “This is Gonna Hurt”. In our Wednesday Wisdom episodes, we post sermons from Gordon’s preaching at Evident Grace Fellowship (www.evidentgrace.com) in Fredericksburg, VA. In this episode, Gordon begins the “End of Shame” Christmas Series. Sunday, December 2, 2018, Evident Grace looked at Isaiah 9:1-7: Isaiah 9:1 But there will be no gloom for her who was in anguish. In the former time he brought into contempt the land of Zebulun and the land of Naphtali, but in the latter time he has made glorious the way of the sea, the land beyond the Jordan, Galilee of the nations. 2 The people who walked in darkness have seen a great light; those who dwelt in a land of deep darkness, on them has light shone. 3 You have multiplied the nation; you have increased its joy, they rejoice before you as with joy at the harvest, as they are glad when they divide the spoil. 4 For the yoke of his burden, and the staff for his shoulder, the rod of his oppressor, you have broken as on the day of Midian. 5 For every boot of the tramping warrior in battle tumult and every garment rolled in blood will be burned as fuel for the fire. 6 For to us a child is born, to us a son is given; and the government shall be upon his shoulder, and his name shall be called Wonderful Counselor, Mighty God, Everlasting Father, Prince of Peace. 7 Of the increase of his government and of peace there will be no end, on the throne of David and over his kingdom, to establish it and to uphold it with justice and with righteousness from this time forth and forevermore. The zeal of the LORD of hosts will do this. We used these verses to pursue our study of how Jesus’ advent means the end of shame. Understanding shame is so important. “The less we understand shame and how it affects our feelings, thoughts, and behaviors, the more power it exerts over our lives. However, if we can find the courage to talk about shame and the compassion to listen, we can change the way we live, love, parent, work, and build relationships.” Brene Brown Big Idea the End of Shame Contempt Darkness Peace If you want to find out more about what Gordon is up to, check out his website atwww.jgordonduncan.com. Welcome to the “This is Gonna Hurt Podcast”, the podcast of J. Gordon Duncan. In this episode, Gordon talks the difference between uncomfortable growth and heading in the wrong direction. He talks about: Getting the people you love on the same page. An example of uncomfortable growth. An example of heading in the wrong direction. Thanks for listening. If you would like to support the “This is Gonna Hurt” podcast, just go to: www.anchor.fm/thisisgonnahurt and click the “support this podcast” button. Thanks for listening. If you want to find out more about what Gordon is up to, check out his website at www.jgordonduncan.com. Check out the latest episode of the “This is Gonna Hurt” podcast. In this Free Friday episode, Gordon walks you through the week in review. In this slightly longer episode, Gordon talks about A Tough Email A Tough Medical Diagnosis Car Problems And all the things that cause thanks in his life. Thanks for listening. Gordon If you would like to become a podcast patron, you can do so by clicking anchor.fm/thisisgonnahurtand clicking the “support this podcast” button. If you want to find out more about what Gordon is up to, check out his website atwww.jgordonduncan.com. Welcome to the “This is Gonna Hurt Podcast”, the podcast of J. Gordon Duncan. In this episode, Gordon talks about how his trip to the Alamo Drafthouse taught him about experiential marketing and why we consume what we consume. We talk about: How the Alamo Drafthouse (https://drafthouse.com/) created an experiential atmosphere instead of the normal, boring movie theater experience. How experiential businesses are growing. How churches can and could move towards more experiential atmospheres. Thanks for listening. If you would like to support the “This is Gonna Hurt” podcast, just go to: www.anchor.fm/thisisgonnahurt and click the “support this podcast” button. Thanks for listening. If you want to find out more about what Gordon is up to, check out his website at www.jgordonduncan.com. Check out the latest episode of the “This is Gonna Hurt” podcast. In this Free Friday episode, Gordon talks about Advent, it’s history, and what a reverse Advent looks like. Gordon challenges you all to take the reverse Advent challenge. You can find what a reverse Advent calendar is by going to www.jgordonduncan.com or at his Facebook page at https://www.facebook.com/gordon.duncan. Thanks for listening. Gordon If you would like to become a podcast patron, you can do so by clicking anchor.fm/thisisgonnahurt and clicking the “support this podcast” button. If you want to find out more about what Gordon is up to, check out his website at www.jgordonduncan.com. Welcome to the “This is Gonna Hurt Podcast”, the podcast of J. Gordon Duncan. In this episode, Gordon talks about the Bechdel Test. What’s the Bechdel Test? The Bechdel Test is a system for rating movies that asks three questions: Are there two women in the movie with a name? Do they have a conversation with each other? Do they talk about something other than a man? You will be surprised by how many movies fail this test, and if they do pass, the total of conversations about something other than a man totals almost nothing. For example, Crazy Rich Asians? Pass Christopher Robin? Fail. Love Actually? Pass but only with 30 seconds of dialogue. If you would like to learn more about the Bechdel Test, visit www.bechdeltest.com. Thanks for listening. If you would like to support the “This is Gonna Hurt” podcast, just go to: www.anchor.fm/thisisgonnahurt and click the “support this podcast” button. Thanks for listening. If you want to find out more about what Gordon is up to, check out his website at www.jgordonduncan.com. Check out the latest episode of the “This is Gonna Hurt” podcast. In this Free Friday episode, Gordon talks about Black Friday – the day when so many businesses move into the profit side of the ledger. Gordon talks about: His Black Friday experience when he thought I woman was going to fight him. How Black Friday is really about socializing more than money. The attractiveness of finding deals online. Thanks for listening. Gordon If you would like to become a podcast patron, you can do so by clicking anchor.fm/thisisgonnahurt and clicking the “support this podcast” button. If you want to find out more about what Gordon is up to, check out his website at www.jgordonduncan.com. Welcome to the “This is Gonna Hurt Podcast”, the podcast of J. Gordon Duncan. In this episode, we talk about Thanksgiving, and how, for many people, Thanksgiving means returning home to a shame culture. Gordon expands that conversation to talk about how: The Church is Synonymous with Shame for So Many The Church Might Change that Impression Tips for Keeping Your Holidays Shame-Free Thanks for listening. If you would like to support the “This is Gonna Hurt” podcast, just go to: www.anchor.fm/thisisgonnahurt and click the “support this podcast” button. Thanks for listening. If you want to find out more about what Gordon is up to, check out his website at www.jgordonduncan.com. Check out the latest episode of the “This is Gonna Hurt” podcast. In this Free Friday episode, Gordon celebrates the life of Stan Lee. Stan Lee, the creator of Marvel Comics passed away this week. In this episode, Gordon talks about The Characters Stan Lee Created The Legacy of Stan Lee on His Life And a story about reading 100 comic books straight in a row. Thanks for listening. Gordon If you would like to become a podcast patron, you can do so by clicking anchor.fm/thisisgonnahurt and clicking the “support this podcast” button. If you want to find out more about what Gordon is up to, check out his website at www.jgordonduncan.com. Welcome to the “This is Gonna Hurt Podcast”, the podcast of J. Gordon Duncan. In this episode, we talk about the holidays and how to be stress-free in gifting giving and gift receiving. His 3 tips? Resolve Not to Be Offended Give Experiences Over Gifts Give to a Cause in Honor of Someone Thanks for listening. If you would like to support the “This is Gonna Hurt” podcast, just go to: www.anchor.fm/thisisgonnahurt and click the “support this podcast” button. Thanks for listening. If you want to find out more about what Gordon is up to, check out his website at www.jgordonduncan.com. Check out the newest episode of the “This is Gonna Hurt” podcast. In this Free Friday episode, Gordon celebrates his 48th birthday. He finds 3 areas in which to be thankful: Struggles in His Past Blessings of His Present Goals of His Future Thanks for listening. Gordon If you would like to become a podcast patron, you can do so by clicking anchor.fm/thisisgonnahurt and clicking the “support this podcast” button. If you want to find out more about what Gordon is up to, check out his website at www.jgordonduncan.com. Welcome to the “This is Gonna Hurt Podcast”, the podcast of J. Gordon Duncan. In this episode, we talk about some of the realties of the upcoming election in an episode called, “This Election is Gonna Hurt”. The goal is neither to endorse a party nor a candidate. It is to give some rails for everyone run on. You’ll hear advice like: Be calm. Remember how is in charge. Set a good example. Seriously, friends, let’s set a new tone this election cycle. I hope you enjoy this episode. Thanks for listening. If you would like to support the “This is Gonna Hurt” podcast, just go to: www.anchor.fm/thisisgonnahurt and click the “support this podcast” button. Thanks for listening. If you want to find out more about what Gordon is up to, check out his website at www.jgordonduncan.com. Welcome To another Free Friday episode of This is Gonna Hurt podcast. 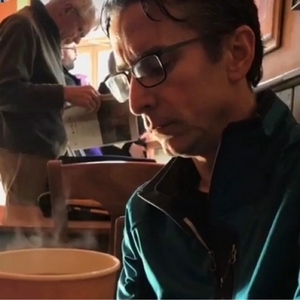 In this episode, Gordon searches for a good cup of coffee and learns that he should take his time and enjoy every sip. Maybe this weekend, you can do the same. If you’d like to find out more about what Gordon is up to, just go to www.jgordonduncan.com. Thanks. Welcome to the “This is Gonna Hurt Podcast”, the podcast of J. Gordon Duncan. In this episode, we talk about the danger of pre-judging people and things. The thought here is that there is a temptation to form opinions about people and things without having any true interaction with them. We talk about: How we form opinions about people, books, and other things. How politics are feeding this issue. A confession of how Gordon pre-judges. And hang around as Gordon takes on a personal challenge in this episode that you won’t believe. If you would like to support the “This is Gonna Hurt” podcast, just go to: www.anchor.fm/thisisgonnahurt and click the “support this podcast” button. Thanks for listening. If you want to find out more about what Gordon is up to, check out his website at www.jgordonduncan.com. Free Friday - Remembering Eugene Peterson. Free Friday - Remembering Eugene Peterson. In this “Free Friday” episode, Gordon celebrates the life of Eugene Peterson. He was a Godly man, theologian, and pastor. Also, learn why Gordon was originally suspicious of him and his writings initially. Thanks for listening. Welcome to the “This is Gonna Hurt Podcast”, the podcast of J. Gordon Duncan. In this episode, we talk about how to overcome obstacles on the way to your goals. Having a goal is great, but if you don’t have a plan for overcoming obstacles along the way, you’ll never meet them. In this episode, we talk about: Why fired Oreos are so good. Having a plan. Leading with gratitude. And we also reference the Streamlining Planner. If you are interested, you can find the Streamlining Planner at: http://www.lulu.com/shop/gordon-duncan/the-streamlining-planner/paperback/product-23338813.html www.anchor.fm/thisisgonnahurt and clicking the “support this podcast” button. Thanks for listening. If you want to find out more about what Gordon is up to, check out his website at www.jgordonduncan.com. Check out our newest episode of the “This is Gonna Hurt” podcast. In this Free Friday episode, Gordon ponders how to handle criticism in light of the criticism he received after Monday's episode about the Personal Growth movement. Thanks for listening. If you would like to become a podcast patron, you can do so by clicking anchor.fm/thisisgonnahurt and clicking the “support this podcast” button. If you want to find out more about what Gordon is up to, check out his website at www.jgordonduncan.com. Check out our newest episode of the “This is Gonna Hurt” podcast. October is Pastor Appreciation Month. In this Free Friday episode, Gordon expresses gratitude to one of the pastors of his youth. This pastor kept a friendly, upbeat attitude even in tough times. Endure a heartbreaking physical condition. And was supported by a wonderfully, Godly wife. Tune in to learn more. Thanks for listening. If you would like to become a podcast patron, you can do so by clicking anchor.fm/thisisgonnahurt and clicking the “support this podcast” button. If you want to find out more about what Gordon is up to, check out his website at www.jgordonduncan.com. Episode 31 - What is the Gospel of Christ? In this episode, Gordon asks the question, “What is the Gospel of Christ?” In our area, there are many churches that talk about all the good that God has planned for you, but they don’t about sin or the need for forgiveness. In this episode, we look at a portion of Galatians where Paul identified the gospel. We talk about: What the Gospel isn’t. How dangerous it is to add to the Gospel. The hope of a life lived in the Gospel. Gordon also refers to a free book he wrote called, “The Gospel of Christ”. You can download the e-book for free at https://gumroad.com/l/thegospelofchrist Thanks for listening! As Gordon mentioned in the podcast, if you would like to become a podcast patron, you can do so by clicking www.anchor.fm/thisisgonnahurt and clicking the “support this podcast” button. Thanks for listening. If you want to find out more about what Gordon is up to, check out his website at www.jgordonduncan.com. Free Friday - Can You Love Jesus When He Purposefully Causes You Pain? Check out our newest episode in the “This is Gonna Hurt” podcast. In this Free Friday episode, Gordon asks this question: Can you love Jesus even if He purposefully causes you pain? We examine that question by taking a brief look at the raising of Lazarus. We examine how Jesus purposefully waited to go to Judea when Lazarus was dying. We talk about how Jesus said He was glad that Lazarus died. We talk about how hard times detach us from the things of this world. We hope this episode is encouraging. Thanks for listening. If you would like to become a podcast patron, you can do so by clicking anchor.fm/thisisgonnahurt and clicking the “support this podcast” button. If you want to find out more about what Gordon is up to, check out his website at www.jgordonduncan.com. In this episode, Gordon brings back Emma, his 12-year-old daughter, for a third interview! In this episode, Emma talks about middle school. She talks about: How parents can listen better. When to “lay off” your kids. And she gives 2 pieces of advice that she feels every parent needs to hear. Thanks for listening! As Gordon mentioned in the podcast, if you would like to become a podcast patron, you can do so by clicking www.anchor.fm/thisisgonnahurt and clicking the “support this podcast” button. Thanks for listening. If you want to find out more about what Gordon is up to, check out his website at www.jgordonduncan.com. Free Friday - How Well Do You Wait for God? In this Free Friday episode, Gordon talks about waiting, specifically, waiting for God. We talk about: Waiting for what God has promised. Waiting for what you want. Living joyfully while you wait. Thanks for listening. If you would like to become a podcast patron, you can do so by clicking anchor.fm/thisisgonnahurt and clicking the “support this podcast” button. If you want to find out more about what Gordon is up to, check out his website at www.jgordonduncan.com. In this episode, Gordon talks about how to make real change in your life. In light of the passing of a friend, Gordon considers what the steps are in our lives if we want to make real, positive change. He talks about: Opportunity Rationalization Restraint Inspiration If light of what Gordon mentioned in the podcast, if you need help for drug or alcohol addiction, you can find that help at www.recovery.org. As Gordon mentioned in the podcast, if you would like to become a podcast patron, you can do so by clicking www.anchor.fm/thisisgonnahurt and clicking the “support this podcast” button. Thanks for listening. If you want to find out more about what Gordon is up to, check out his website at www.jgordonduncan.com. Thanks for listening. In this Free Friday episode, Gordon talks about taking fast hold of Christ. He talks about: What it means to take fast hold of Christ. How Christ holds you fast. Simple ways to remind yourself to take fast hold. These thoughts are inspired by Charles Spurgeon’s sermon “The Hold Fast” and can be found in the Pocket Spurgeon series on Amazon at http://a.co/d/aqcFUmk Thanks for listening. If you would like to become a podcast patron, you can do so by clicking anchor.fm/thisisgonnahurt and clicking the “support this podcast” button. If you want to find out more about what Gordon is up to, check out his website at www.jgordonduncan.com. In this episode, Gordon talks about 3 things needed to meet any goal. Whether you are trying to start a business, lose weight or anything else, these are the 3 essential qualities. Gordon talks about Setting the purpose of your goal. Finding that one purpose who will support. Depending on that group of people who will encourage you. As Gordon mentioned in the podcast, if you would like to become a podcast patron, you can do so by clicking www.anchor.fm/thisisgonnahurt and clicking the “support this podcast” button. Thanks for listening. If you want to find out more about what Gordon is up to, check out his website at www.jgordonduncan.com. Thanks for listening. Free Friday - Is God Good During the Bad Times? In this Free Friday episode, Gordon talks about calling God good, even during the bad times. He asks: What do you say when something good happens? What do you say when something bad happens? Can you can God good no matter what? Many of these thoughts come from Gordon’s book “Joy In Trials” from the book of Ruth. You can find it on Amazon at https://www.amazon.com/dp/1492146862 Thanks for listening. If you would like to become a podcast patron, you can do so by clicking anchor.fm/thisisgonnahurt and clicking the “support this podcast” button. If you want to find out more about what Gordon is up to, check out his website at www.jgordonduncan.com. In this episode, Gordon talks about how he missed his goal at a recent Boston Qualifying Marathon. In fact, Gordon DNF'd (did not finish). We all miss goals every now and then, so how do we keep moving and stay motivated? Gordon offers some tips. He talks about: Controlling what you can control. Using Your Disappointments. Setting Incremental Goals along the way. As Gordon mentioned in the podcast, if you would like to become a podcast patron, you can do so by clicking www.anchor.fm/thisisgonnahurt and clicking the “support this podcast” button. Thanks for listening. If you want to find out more about what Gordon is up to, check out his website at www.jgordonduncan.com. Thanks for listening. In this Free Friday episode, Gordon talks about how to prepare for a big day. You know what we are talking about: prepping for an interview, a marathon, etc. Gordon offers tips on: Prepping the night before. Picking out your clothes. Eating a strong breakfast. Thanks for listening. If you would like to become a podcast patron, you can do so by clicking anchor.fm/thisisgonnahurt and clicking the “support this podcast” button. If you want to find out more about what Gordon is up to, check out his website at www.jgordonduncan.com. In this episode, Gordon celebrates work on Labor Day. He talks about: The origin of Labor Day The goodness of work The redemption of work And lots of other things... As Gordon mentioned in the podcast, if you would like to become a podcast patron, you can do so by clicking anchor.fm/thisisgonnahurt and clicking the “support this podcast” button. Thanks for listening. If you want to find out more about what Gordon is up to, check out his website at www.jgordonduncan.com. Thanks for listening. The time to start thinking about an enduring & Godly legacy is now. You can’t start too early. In this Free Friday episode, Gordon talks about what the essential elements of a Godly legacy looks like by examining the life of Samuel. He talks about Faithfulness Dependence Accountability Boldness Thanks for listening. If you would like to become a podcast patron, you can do so by clicking anchor.fm/thisisgonnahurt and clicking the “support this podcast” button. If you want to find out more about what Gordon is up to, check out his website at www.jgordonduncan.com. In this episode, Gordon talks about the benefits of a having a guilty pleasure. What is a guilty pleasure? A guilty pleasure is something fun and silly that just helps you have fun and relax. We all need them. Gordon talks about: His love of giant shark movies and the “Mack Bolan” books. He asks what makes a good guilty pleasure. He even offers some things to avoid. As Gordon mentioned in the podcast, if you would like to become a podcast patron, you can do so by clicking anchor.fm/thisisgonnahurt and clicking the “support this podcast” button. Thanks for listening. If you want to find out more about what Gordon is up to, check out his website at www.jgordonduncan.com. Thanks for listening. Thomas Edison made 1,000 attempts before creating the light bulb. A reporter asked him, "How does it feel to fail 1,000 times?" Edison replied, "I didn’t fail 1,000 times. The light bulb was an invention with 1,000 steps." In this Free Friday episode, Gordon talks about the power of failure. He ponders things like: How failure puts you one step closer to your goal. How embracing grace in moral failures enables you to obey. And he shares a story of failure in his life. If you would like to become a podcast patron, you can do so by clicking anchor.fm/thisisgonnahurt and clicking the “support this podcast” button. Thanks for listening. If you want to find out more about what Gordon is up to, check out his website at www.jgordonduncan.com. In this episode, Gordon talks about what it is like to raise daughters. With the help of his great wife, Gordon shares a few lessons that he has learned. He talks about: Why it is important to restrain anger when in disagreement with his daughters. Why it is important to foster their imagination and encourage them to dream big. Why it is important to help them process conflict with their friends. As Gordon mentioned in the podcast, if you would like to become a podcast patron, you can do so by clicking anchor.fm/thisisgonnahurt and clicking the “support this podcast” button. Thanks for listening. If you want to find out more about what Gordon is up to, check out his website at www.jgordonduncan.com. Thanks for listening. In this Free Friday episode, Gordon talks about how to battle and possible prevent burnout in your life. He talks about: Spiritual Disciplines The Benefit of Exercise The Reason Why Setting Goals is Important As Gordon mentioned in the podcast, if you would like to become a podcast patron, you can do so by clicking anchor.fm/thisisgonnahurt and clicking the “support this podcast” button. Thanks for listening. If you want to find out more about what Gordon is up to, check out his website at www.jgordonduncan.com. Thanks for listening. In this episode, Gordon talks about an issue that affects almost all of us: loneliness. He talks about things like: The causes of loneliness. Steps to prevent loneliness. How to walk out of loneliness. And lots more. As Gordon mentioned in the podcast, if you would like to become a podcast patron, you can do so by clicking https://anchor.fm/thisisgonnahurt and clicking the “support this podcast” button. Thanks for listening. If you want to find out more about what Gordon is up to, check out his website at www.jgordonduncan.com. Thanks for listening. In this episode, Gordon talks about what’s in store for the “This is Gonna Hurt Podcast”. He talks about things like: An interview with Danny Bowen of www.80bitpodsmash.com talking about video game addiction. An interview with a female, immigrant entrepreneur discussing her challenges and success. And most excitedly, Gordon talks about how you can become a patron of the show. Patrons will receive a free -ebook, episodes, and lots more. If you would like to become a patron, just go to the homepage at https://anchor.fm/thisisgonnahurt and click “support this podcast”. Thanks for listening. If you want to find out more about what Gordon is up to, check out his website at www.jgordonduncan.com. Thanks for listening. Free Friday - Is Different Better Than Better? In this Free Friday Episode of the “This is Gonna Hurt” podcast, Gordon asks the question, "How many of the top 100 celebrity earners did you give money?" Does that line up with your values? In this fun exercise, you will learn about the top 100 earners and when you follow the link, you will find out how many you helped. You can find the link at https://www.forbes.com/celebrities/list/ Thanks for listening. If you want to know more about what Gordon is up to, check out www.jgordonduncan.com. Free Friday - Are You Interested or Committed Towards Your Goals? In this Free Friday Episode of the “This is Gonna Hurt” podcast, Gordon asks the question, "Are You Interested or Committed Towards Meeting Your Goals?" If you are only interested, you probably won't meet them. If you are committed, you probably will. This is our first "live" episode so the sound quality is not as great. Thanks for your patience. Thanks for listening. If you want to know more about what Gordon is up to, check out www.jgordonduncan.com. In this Free Friday Episode of the “This is Gonna Hurt” podcast, Gordon shares one tip that will help you sleep better and recover from any form exercise. This secret will transform your health. This will only take 7 minutes of your day, and you will love it. Thanks for listening. If you want to know more about what Gordon is up to, check out www.jgordonduncan.com. In this Free Friday Episode of the “This is Gonna Hurt” podcast, we talk about how Gordon plans out his fitness plan each week. It’s part of his exercise plan. Do you have a fitness plan? If you don’t have a plan, you don’t have a plan. Questions to ask: What are your fitness goals? Do you map out what you want to accomplish physically each week? If you are not going forward, you are going backwards. Thanks for listening. If you want to know more about what Gordon is up to, check out www.jgordonduncan.com. In this Free Friday Episode of the “This is Gonna Hurt” podcast, we talk about how Gordon had to replace his sump pump backup and how it reminded him to take a day off from working out to assess how he is doing. If you have a regularly scheduled exercise regimen, it is important to take a day to assess health. This is also important for mental and spiritual well-being. Thanks for listening. If you want to know more about what Gordon is up to, check out www.jgordonduncan.com. Gordon arrives home from his church’s convention with this thought - How Good and Pleasant is Unity. In this Free Friday Episode of the “This is Gonna Hurt” podcast, we talk about Perseverance, Alex Ovechkin, & the Washington Capitals. Alex Ovechkin is one of the greatest players of his generation, if not all time. But those conversations have always ended with, “But he’s never won a Stanley Cup” …until last night. Last night, the Washington Capitals defeated the Las Vegas Golden Knights to win the Stanley Cup. Ovechkin and the Capital’s story is really one of perseverance, and in that, we all need to be inspired. Whether you want to lose weight, make more money, quit smoking, or whatever else, you won’t accomplish those goals if you quit. Thanks for listening. If you want to know more about what Gordon is up to, check out www.jgordonduncan.com. Situational awareness is when we have an objectivity about our self and wisdom about people in and out of season. In light of the NBA finals game one loss, there’s a lot to learn about situational awareness. This episode of Free Friday goes right up to the five-minute mark, but we hope that it will be encouraging to you. Thank you for listening. David & Goliath is not about overcoming challenges in your life. It is about living out victory, not how to achieve victory. Be encouraged and know that God values every gift and talent you have because he gave them to you. Episode 10 - What Does a Pastor Do? In this episode, Gordon talks about how Easter can be a great time to be thankful for your family. Even if you don't celebrate Easter, the weekend is a great opportunity to let your family know you love them. Things discussed in the episode: Gordon's family traditions now and as a kid. Ideas on how to celebrate with family. What to do if you don't have a family. How to celebrate if you don't celebrate Easter. If you are interested in pursuing some Easter devotions, Gordon has written a book called, "It is Finished" celebrating the life, death, and resurrection of Jesus. You can find it at: http://www.lulu.com/shop/gordon-duncan/it-is-finished/paperback/product-23552364.html You can find out more about what's going on with Gordon at www.jgordonduncan.com.com. In this episode, Gordon talks about laziness and how it interplays with faith. We talk about things like: What does the Bible say about slothfulness or laziness? What is the definition of laziness? How do you know if you are lazy? Is there such a thing as work/life balance? And lots more. Mentioned in the podcast is the need for a good daytimer or planner. If you would like to use the one Gordon recommends, it is his Streamlining planner. You can find it: http://www.lulu.com/shop/gordon-duncan/the-streamlining-planner/paperback/product-23338813.html You can find out more about what's going on with Gordon at www.jgordonduncan.com.com. In this episode, Gordon talks about the importance of setting goals. He talks about: How we are all designed to set goals. Why people of faith should not be afraid to set goals. How we set and meet goals all the time. A story of accomplishing a goal. A challenge to set a goal in personal health. Practical steps to meeting that goal. You can find out more about www.jgordonduncan.com.com. Check out the intro episode of the This is Gonna Hurt Podcast of J. Gordon Duncan. Thanks for listening, and find out more about the podcast and lots of other things at www.jgordonduncan.com.